Free Pickup & Delivery of Your Rug in Closter, New Jersey. You will never get surprised when it comes to what you pay. Before we provide our firm quote, our service experts, with over 15 years of experience on average, will speak with you so they understand your rugs and the special requirements needed to deliver the perfect cleaning. You'll like them. They are trained professionals, very knowledgeable and helpful. Then, they will quote you a firm price based on the type of rug(s) you need cleaned and the size of the rug. They will quote you a square foot price which is multiplied by the total number of square feet (length x width). This price quote is printed out clearly on your pick up contract so it’s in writing. No confusion, no misunderstandings. Some cleaning companies will promise you a “free estimate” AFTER they come to your home. This process leads to “bait and switch” tactics and if the price they quote you is way out of line then they have wasted your time. We Clean About 30,000 Rugs Each Year. Do You Know Why? It's true. In the 120 years we have been in business we’ve cleaned over 5 million rugs. The most expensive rug we ever cleaned was valued at $800,000.00 But I’m most proud that 87% of our business comes from repeat and referral customers. We are so confident in our ability to restore almost any rug that we are the only rug cleaning company to offer this risk free guarantee – if we need to clean your rug again and you are still not satisfied we will refund the cost of the cleaning process. This guarantee does not include removal of all stains. Carpets and rugs capture odors and hold onto them. However, these odors can be removed, and the time and effort will depend largely on the type and intensity of the odor. If the odor is strong, be prepared to have an expert spend some time removing the odors from your carpet or rug. When possible, adding fresh air always helps to expedite the process. We can gently and safely eliminate most offensive odors caused by mildew, pets, smoke and other causes. If your rugs have an odor problem, call us at 800-342-1278. Fiber-Guard™ provides a superior top-to-bottom protection on each and every fiber in handmade rugs and carpets, wall-to-wall carpet, fabric and leather furniture, wall fabrics and draperies. Have us apply Fiber-Guard™ - The finest stain and soil protectant available to Wool, Cotton, Leather, Silk, Velvet, Suede, viscose linen and all other fabric blends. All the most effective products to prevent moth infestation and damage have been banned by the EPA. Some home owners are experiencing an explosion of moth contamination and the associated moth damage. Most homeowners are unaware that they are being attacked and it is only when furniture is moved and dark quite places are brought into the light of day, does it come to the owner’s attention. We can eliminate the moth larva and the moth eggs that can remain dormant in the rug for years before hatching and starting their damaging life cycle. We take your rug and put it in a deep freezer for 3 days. We then carefully and thoroughly clean the rug removing all the dead moths and the broken eggs. After cleaning and complete drying we then put the rug back into the deep freezer for 3 more days. The rug is then put in our dryroom to bring it back to room temperature before inspecting it and readying the rug for deliver back. This service is 100% effective, 100% chemical free and 100% guaranteed. Fact: Rugs and carpets will look their best and last longer when they are properly maintained. Handmade Oriental and machine made carpets should be cleaned every two to four years. Dan Hodges, President of the Oriental Rug Importers Association says, "Over time grit and dirt become embedded so deeply that professional cleaning is required. 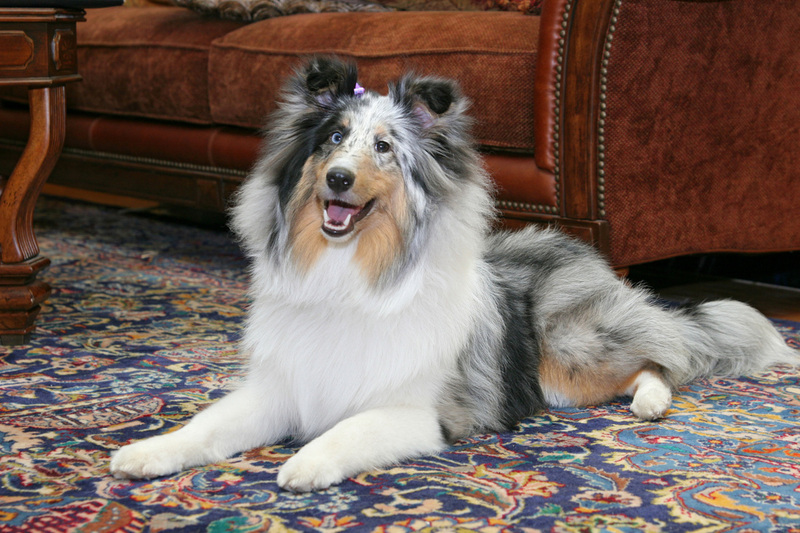 Oriental rugs and other area carpets should be taken out of the home for proper cleaning." The cleaning will remove the grit as well as the surface soiling that gradually dulls the appearance of the carpet. Never ever allow a wall-to-wall carpet cleaning firm to clean an Oriental or area rug in your home. It may sound good, easier and cheaper but there is nothing you can do that will harm your rugs more than this. When a cleaner attempts to clean a rug in the home with a hot water extraction machine (better known as steam cleaning) the top half of the rug in most cases becomes saturated with detergent while the bottom half remains untouched by the detergent. As quickly as the solution is sprayed onto the rug it is extracted by the machine's vacuum. This process never really gets the dirt and grit out of the bottom half of the rug's foundation. The real problems occur when the cleaner over-wets the rug by applying too much detergent, getting the foundation of the rug (its cotton warp and weft) wet. Since the rug is lying flat on the floor, the foundation never has the opportunity to dry properly. This will lead to mildew and dry rot, either ruining the rug or drastically reducing the rugs longevity and value. The other problem with in-home cleaning is that the cleaning chemical is never properly rinsed out of the rug. Think about it: if detergent is injected into the rug wetting the wool, and the excess is immediately extracted, the soap and moisture left in the rug attains a very high pH level. The rug dries, leaving the pile heavily laden with soap residue. We use the analogy of washing your hair without rinsing it. The soap left in the rug will start doing what it was intended to do, attract dirt. This will cause the rug to get dirtier quicker, and, more seriously, it will attract the gritty dirt that, once deep down in your rug and will cause the fibers to break down, leading to premature wear. This soap residue makes cleaning loose dirt and dust virtually impossible, negating its important benefits. It must also be pointed out that the fringes of the rug cannot be cleaned. So don't choose the quick, easy and wrong way it will cost you much more in the long run. Our exclusive process that provides exceptional cleaning for fine oriental rugs and carpets. The rug is completely immersed in water and our own exclusive cleaning formulas. Specially designed washing equipment allows the solutions to penetrate freely to the deepest layer of the rug’s nap. ​This process removes ground in dirt gently, without crushing the wool pile, and in most cases restores the original look and texture. This is a specially formulated cleaning process done by hand, and supervised by one of our ﻿Certified Rug Specialists.﻿ This is the finest most gentle and thorough cleaning option available for rugs that are old, fragile, valuable and warrant extraordinary care. This is a distinguished service that can be provided only by Rug Renovating. Each rug is cleaned as many times as necessary to produce the highest level of cleaning. After the rug is dried it is hand groomed and finished for optimum appearance. ​The types of rugs that would warrant this cleaning process are old Persian rugs, such as, Bijars, Heriz, Serapi, Tabriz, Lavar Kerman, Keshan, Sarouk to name a few. Other types of rugs are Agra, Aubusson, Savoneriee, Nichols Chinese, and all types of silk rugs, artificial silk, Viscose, Linen, Soy silk, Bamboo silk. Used on rugs that need special care. This is a process in which we clean the rug with a dry cleaning method. All work is done by hand. 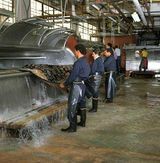 This process is recommended for silk rugs, extremely fragile textiles, or rugs that have "fugitive" dyes which may tend to run in a wet cleaning method. Hand cleaning done by one of our Certified Rug Specialists. Restoration Services is a special formulated cleaning process done by hand, by our Certified Rug Specialists. This is the finest, most gentle and thorough cleaning available for rugs that are old, fragile, valuable and warrant extraordinary care. This is a distinguished service provided by very few rug cleaning companies in the tri-state area. MOST IMPORTANT, THIS ENTIRE PROCESS IS DONE BY A CERTIFIED RUG SPECIALIST. CRS Designation - Certified Rug Specialist is the highest level of training and education that an individual can obtain when it comes to the cleaning, repair and restoration of handmade rugs and all types of area carpets. There are currently only 55 individuals in the entire USA, that have achieved the CRS designation. There are only 32 Firms in the Country that employ an individual with the CRS designation. To obtain the CRS Designation the individual must attend nine days of classroom education, pass two tests and write a research paper on an approved related subject. ​We are the only firm with in 50 miles of New York City that employs a CRS. We dry your rugs as carefully as we wash them. We dry your rugs and carpets as we clean them. The drying process is an intrical part of the cleaning process. If the rug is not properly dried and allowed to remain wet for too long, problems such as mildew and dry rot can occur. Our dry-rooms are state of the art and we control the amount of heat and humidity so that the rug dries under optimal conditions. As you can see from the picture, many rugs are dried in a vertical, hanging fashion. This way air can circulate on the front and the back of the rug, which will quicken the drying process. The room is equipped with a humid-i-stat that measures, not only the temperature, but the relative humidity in the room. It controls the amount of heat in the room, and the fans that remove the moisture-laden air from the room. During a drying cycle, we may remove the heated air several times to reduce moisture from the air. There are multiple fans that circulate air in the room to ensure that drying leaves the carpet or fine rug in a natural state. The most important things you need to know to properly maintain your rugs. NEVER clean handmade or good machine-made rugs in your home no matter what anyone tells you or how inexpensive the price is. ALWAYS have your area rugs taken out of the home and cleaned by a professional company that specializes in Oriental rugs. The Oriental Rug Importers of America recommends that handmade rugs and carpets be cleaned every 2 to 4 years. Protect Your Fine Rugs and Carpets from stains, spills and soil. Wool, silk, viscose, linen rugs and carpeting are sold without the benefit of factory applied stain protection. Our stain protection is called Fiber-Guard and it provides the finest protection available. It can be applied to your rugs and carpets in our facility or in your home. Fiber-Guard is 100% safe, state-of-the-art fabric protector that coats each fiber to provide a barrier between your fine rugs, carpeting, upholstery and fabrics and spills, liquids, oils and dirt that degrade them. Spills and Accidents should be addressed immediately. Have the proper tools on hand so you will be ready to act. Padding is a must to protect and prolong the life of rugs and carpets. Don't Wait for a small repair to become a major restoration. Vacuum your rugs and carpets frequently. Rotate your rugs 180 degrees at least once a year. Clean For Your Health all soft surfaces, rugs, carpets, furniture and drapes. Cleaning will absorb dust and dirt and keep it out of the air you breathe. If you don't periodically clean these surfaces dust and dirt may contribute to certain health problems.